Finding a good boarding place for Axel has always been a headache for me. 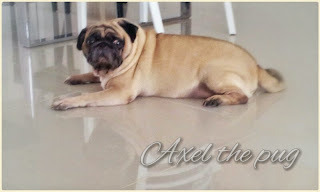 At times I know I can depend on Gan's family to help take care of him whenever I need to go overseas, but I also get "pai seh" to disrupt their daily routine whenever Axel is there. 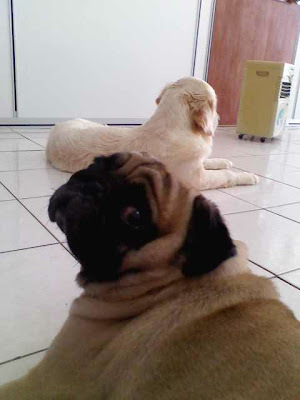 Disrupt their daily routine here means that they will be vacuuming much more when the fur shedder is there, and waking up much earlier than usual with the 5am automatic alarm a.k.a Axel the pug. I have tried a few boarding places and researched a few, but none which enticed me to be a regular customer... until recently. I guess as all pet lovers would know, your pets are as precious to you as an offspring to a parent. 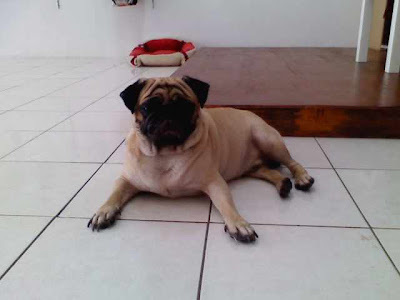 So you will want to be sure that when you place your precious at a boarding place, they are being well taken care of. I found that in this shop called "Poochie Poochie Pet Centre". 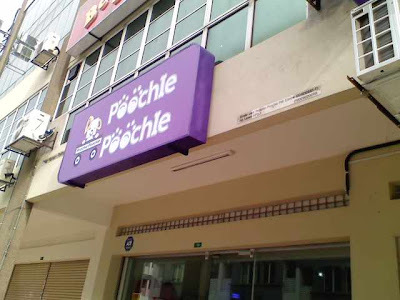 I have to admit the name is a bit funny but it's from the word "Pooch", okay? This shop is rather new and simple, very much a shoplot with some rooms, product shelves and enclosures. They do grooming, provide boarding and sell various pet products and home bred puppies. I guess most petshops are alike in terms of the things that they sell. What distinct them apart is the level of service and the relationship fostered with the customers. 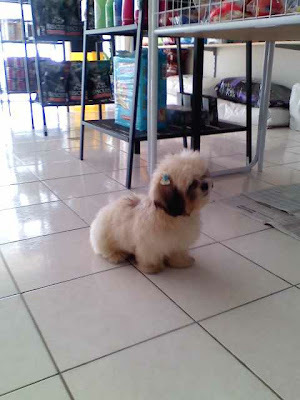 I have to say that these are the things that Poochie Poochie Pet Centre is able to provide me. When you talk to the couple (Anne & Keith) who owns the place, you will know straight away that they are genuine pet lovers. I have been boarding Axel there for a few times now. He was very much let to roam free within the shop. I think he may have made some friends there as well. The icing on top of the cake is that the boarding fee is very reasonable and does not cause you to bleed.